What have you got planned to celebrate Armed Forces Day this year? This year’s Armed Forces Day falls on Saturday, May 19th. Armed Forces Day is a holiday which celebrates the service and sacrifice of members of the military. Armed Forces Day is a common holiday celebrated in many countries throughout the world. In the USA, Armed Forces Day is always held on the 3rd Saturday of the month of May. It usually falls at the end of Armed Forces Week which occurs between the second Saturday and the third Sunday in May. What sort of Events are Held? The day is an official holiday and it is often celebrated with parades, open houses, air shows, festivals and other family-friendly events. Often military members will give displays and performances for the public and there will be educational activities for children to learn about the armed forces. Some locations around the USA will even have motorcycle rides with a “Support the Troops” theme. Usually the weather is sunny and warm at this time of the year and many families will take a picnic and sit outside while they watch the parades and the festivities. This day is also an opportunity for the military to showcase its state-of-the-art technology and equipment to the American people. Most cities, towns and communities will have their own Armed Forces Day celebrations, so be sure to take a look at what is happening in your hometown on this special day. 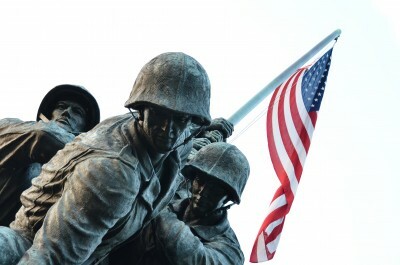 What are the Historical Origins of Armed Forces Day? This holiday was created in 1949 in order to honor the Americans who served in the five branches of the United States military; The Army, The Navy, The Air Force, The Marines, and the Coast Guard. In the past, these five branches each had their own special day until President Truman created a single day when all military members could be celebrated. It was established as an official holiday by President Kennedy in 1962. This Armed Forces Day, find out what events are happening this year and get out there to join in the party. Have a great Armed Forces Day this year and be sure to give thanks to the brave members of the military for their patriotic service.